LIFE PROOF BOATS are professionally hand crafted all aluminum boats, tailored around the multi-cultured lifestyle we all want to live on the water. Our deep Vee Hulls provide a world class comfort in ride quality, while our industry leading foam stabilized collar systems provide the ultimate in safety & stability. With an extensive catalog of models and a professional engineering team on staff, we can pair or create any vessel to suit your on water needs. Our premium boat designs offer an exciting boating experience for even the most seasoned boaters. With a wide catalog of vessels to suit any boating lifestyle and a built to order philosophy, our vessels are tailored to every unique clients requests. From an open cabin speedster to a closed cabin with a luxurious interior we offer one of a kind service to provide you with your dream boat. All the while making sure the design will perform to our high performance and safety standards. Whether you are looking for a dive boat, snorkel boat, whale watching, or passenger ferry we have the ability to build commercial and sub-chapter T passenger vessels. Choose from one of our already proven in field designs or work with us to design your dream vessel. We can offer vessels from as small as 21’ and as large as 50’ with custom designed layouts, and with almost limitless propulsion options our professional staff will consult you on the ideal package to get the most return out of your investment. John A. Shedd once said, “A ship is safe in harbor, but that is not what ships are built for.” Because our vessels are built to a high commercial standard, our vessels can perform better than your average boat and our foam collar system gives them the highest level of safety. 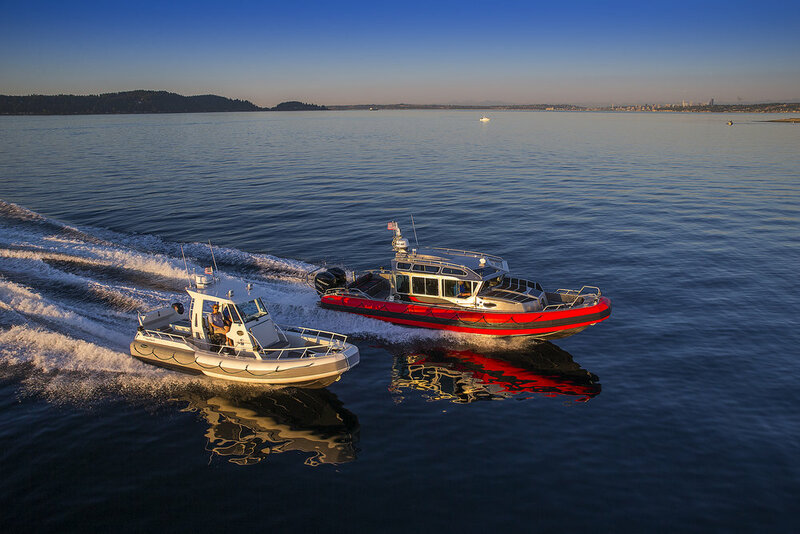 Foam collared boats have been used by law enforcement and coast guard agencies all over the world for years because they provide more safety and stability than traditional vessels. With other features like a drop bow door, walk through cabin, and double reinforced hull beaching plate, adventure seekers will love the new experiences they can have in our boats. Whether you tow or deck store a tender on your main vessel we can offer tenders solutions. With models as small as 13’ to as large as 41’, our tenders will give you a new level of comfort. Their commercially built aluminum hulls can handle far more abuse than a traditional fiberglass hull and our closed cell memory foam collars will provide your tender with an unprecedented level of safety. Propulsion options can range from inboard diesel, outboard diesel, inboard gas, or outboard gas. 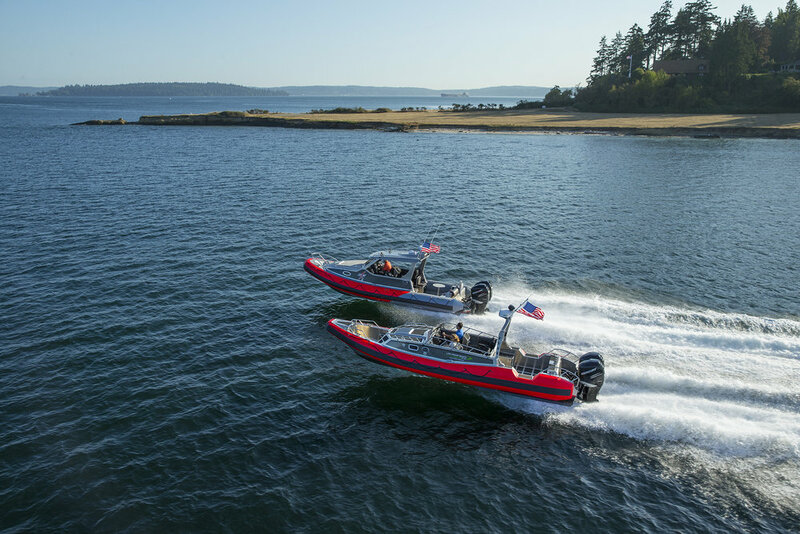 Coupled with our current catalog of designs and the ability to build one-off custom vessels, we offer the perfect tenders for any intended purposes. Fishing is one of the most sought after uses of our boats, so we offer an extensive list of options to suit any style of fishing you do. Aluminum boats have become increasing popular for fisherman for the ease of maintenance, versatility to the vessels setup, and robust build nature. From cold water to warm water fishing, the vessels provide users with more time focused on fishing and less time worrying about the boat. Like you, we too are fishermen and understand the key features to make your time on the water more productive. We can integrate the latest in electronics and accessories for more catching and all of our boats are built to order so your boat will be tailored to your fishery. Our team has been building boats for government agencies all over the world for over 20 years. Applying real user feedback and industry knowledge we have tailored our vessels to work better for your departments needs. 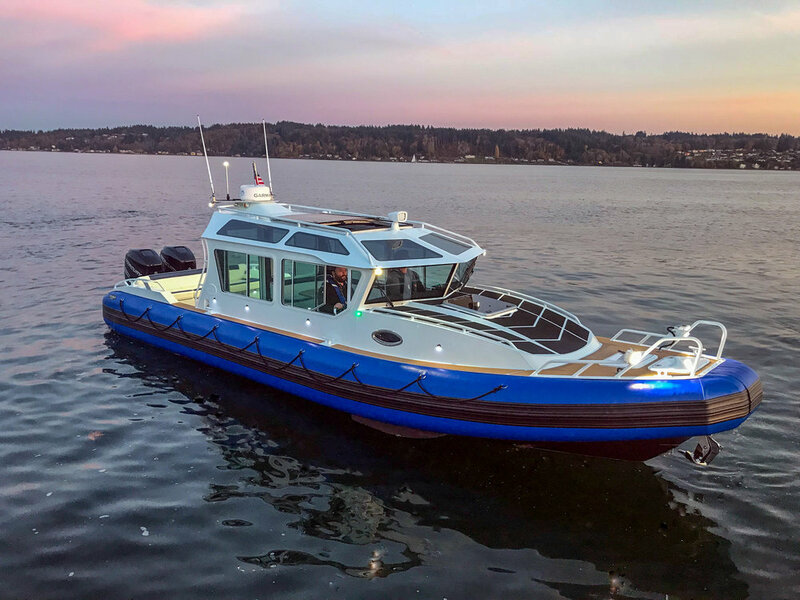 Whether you are looking for a small lake enforcement boat, fire boat, or full cabin security boat, we will work with you to outfit the vessel with the industry’s best equipment. If you can purchase through GSA, we are a GSA vendor and can upload a new vessel configuration on demand.